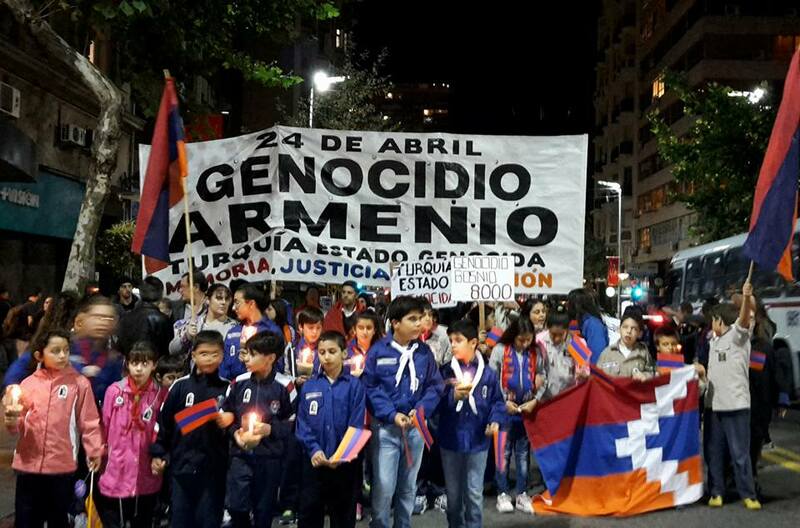 During the night of Friday April 22, the Armenian community of Uruguay rallied for the 101° anniversary of the Armenian Genocide, in a demonstration that had strong references to the current situation of the Republic of Nagorno-Karabakh. 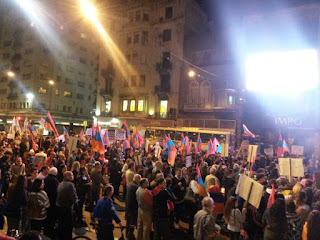 "Our struggle is the struggle against denial and the current lies. These are not things of the past. 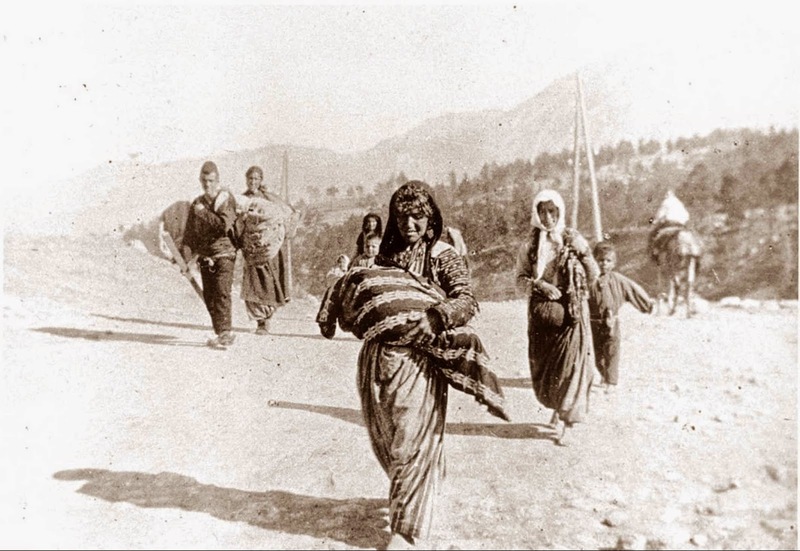 We have to stop perceiving the Armenian Genocide as something distant, as a fact that we only remember tearfully. That way only leads to oblivion. 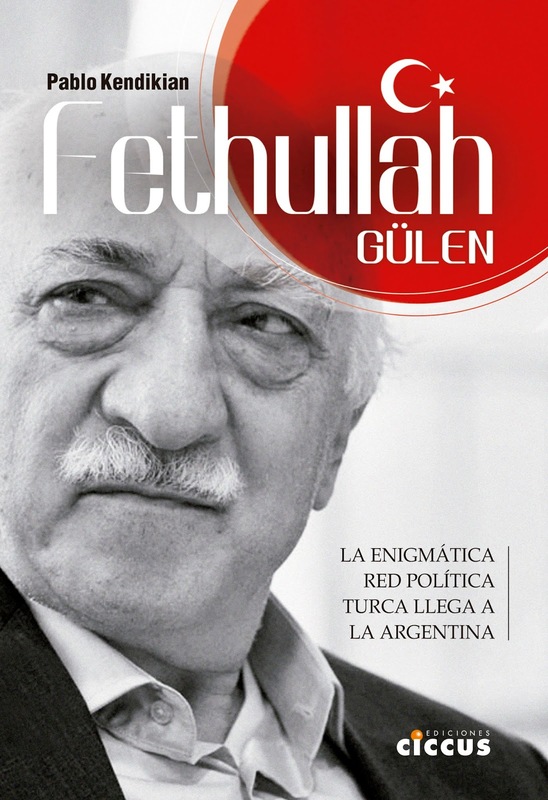 If the stories are not recounted, they die. 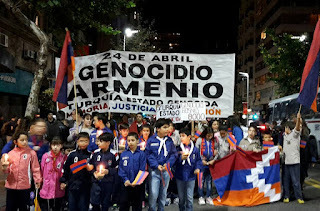 The silence is the triumph of genocide," said the Young Armenians from Uruguay in their speech, after a rally of hundreds of people along the main avenue of the city, from Independence Square to the esplanade of the Municipality of Montevideo. 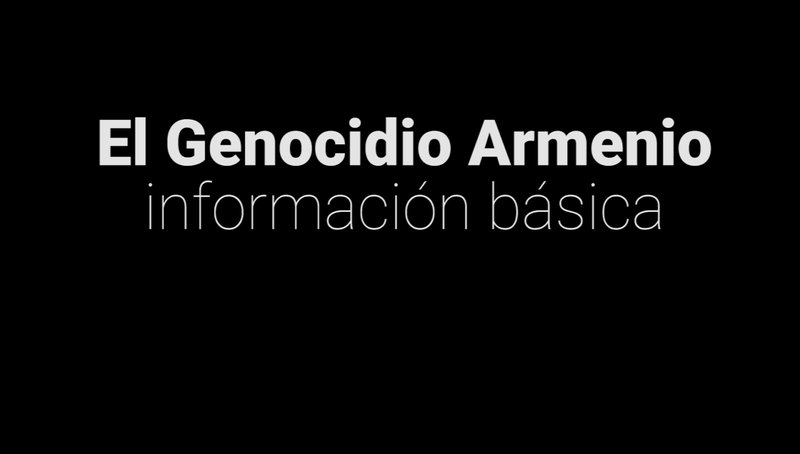 "Today we do not manifest only to commemorate the anniversary of the Armenian Genocide. 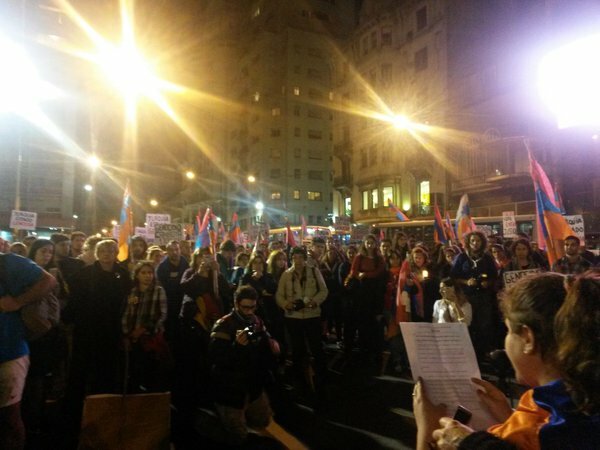 In addition, we condemn the serious assault of Azerbaijan that began 20 days ago against the people of the Republic of Nagorno-Karabakh, in solidarity with those who are protecting their homes and reaffirm our support to a peaceful resolution of the conflict to respect the self-determination of the people of Karabakh," denounced the representatives of the Armenian community in Uruguay. 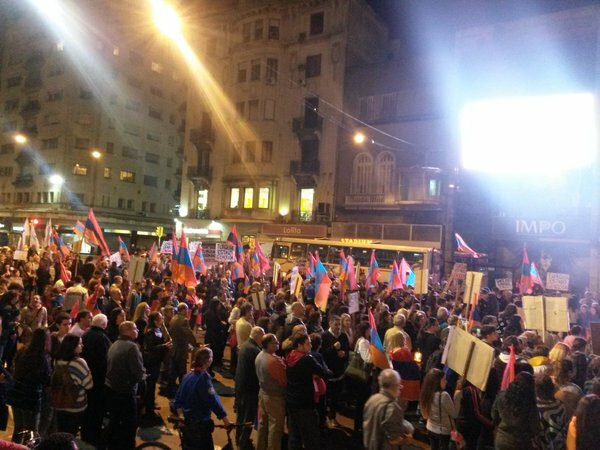 "At the same time, we condemn the shameful support that the current Turkish government of Erdogan gives to Azerbaijan, in what we consider a continuation of what the Ottoman Empire began 101 years ago." On Monday 25 there will be demonstrations in the Argentinean cities of Cordoba and Buenos Aires, where similar mobilizations are expected.